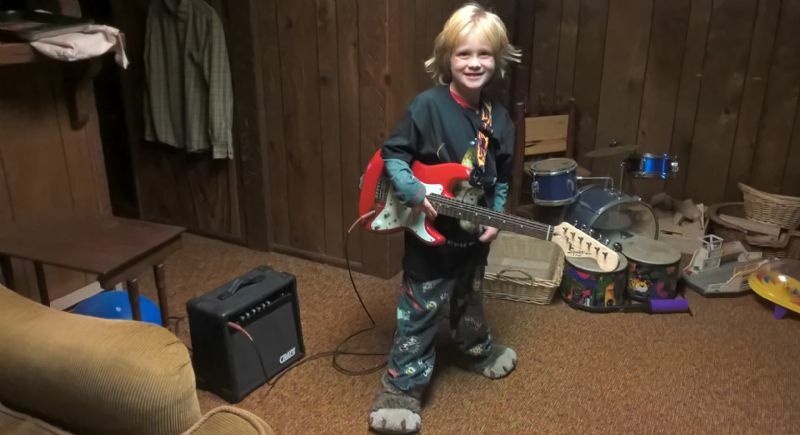 Hi guys, I’m looking for a 22” (or there about) scale guitar for my son, who will be turning 5. Ex: Epiphone Les Paul Express, Squier Micro Strat, etc. I found that Mini Strats are the most plentiful short scales out there. I got a used one on Craigslist that was in great shape and took very little tweaking play well. Good luck in your search, your kid will love you for it. Stay away from the Fender minis, tuning pegs and pickups are crap. Same with the Maestro flying V by Gibson. Jackson has some real decent minis out as does Ibanez. Gibson has a mini flying V that isn't a Maestro that's killer—you'll want it yourself.